Instability in compensation and increases in administrative costs, correlated with the transition of doctors from private practice to employed models, could be leading to trouble soon. ABSTRACT: Physician compensation is of significant interest to the general public and the health care community alike. There is public sentiment that U.S. physicians are compensated well, so actions taken by Congress made physicians an easy target for policies that have led to instability in compensation. This, and increases in administrative costs, correlated with the transition of physicians from private practice to employed models — could be leading to a compensation bubble that will burst if it isn’t addressed. Studies show physicians feel undercompensated despite increased compensation.5 There are obvious economic factors that suggest an unsustainable compensation bubble for physicians exists nationally. Physicians must prepare themselves through education, training and experience to thrive during the fallout of an impending physician compensation bubble burst. Data suggest a clear inverse correlation between the trend to physician employment and physician productivity, as employed physicians see 19 percent fewer patients than practice owners.6 Meanwhile, the percentage of physicians in private practice decreased from 41 percent in 1983 to 17 percent in 2014.7 Many variables beyond physician control contribute to the decreased productivity, including recent studies suggesting physicians spend greater than 50 percent of their time performing nonclinical tasks.8 Nonetheless, this correlation clearly exists. Although correlation does not equal causation, this suggests physicians saw an opportunity to be better compensated for the same level of productivity without jeopardizing quality of care by transitioning from private practice to employment. At what point must we ask: Where is the money coming from to make up the difference in compensation and productivity, and how sustainable is the current trend? One result of the trend toward employment is that the economic laws of supply and demand exert a larger role in compensation. Private-practice physicians are held captive to government regulations dictating fixed payment structures, and they have little power to negotiate favorable pay rates from private insurers. Thus, beyond concierge medicine, direct primary care and other niche practice models, they have little power to exert the laws of supply and demand. On the other hand, hospital systems recognize the critical role physicians serve in ordering tests, hospitalizing patients and ordering ancillary services that fuel their business models, and they understand there is a physician workforce shortage estimated at over 200,000 physicians,11 so they have incentive to employ physicians to ensure a growing patient base for their core revenue streams. This allows physicians who seek employment within hospital systems to capitalize on a supply-and-demand curve that is squarely in their favor. Some specialties, such as hospital medicine, clearly show this trend by commanding salary subsidies of $150,000 or more beyond their productivity,12 and if compensation continues to outpace productivity as it has in recent years,13 the phenomenon will undoubtedly spread to other specialties. The current regulatory environment provides downward pressure on compensation and provides limitations to supply-and-demand economics. As physician compensation subsidies grow, some will view them as referral fees or kickbacks. That raises a question: At what point do employers cross the line, from providing favorable compensation packages to violating anti-kickback statutes? The party compensating the physician is motivated by a desire to retain or secure referrals. The terms and conditions contained in the compensation arrangement are highly unusual. The compensation correlates with, or is affected by, the physician's referrals. The compensation paid to the physician exceeds the professional fees generated by the physician. Over the same time, however, Medicare reimbursement rates have declined dramatically when adjusted for inflation. For example, Medicare physician reimbursement for orthopedic surgery procedures fell an average of 28 percent between 1992 and 2007, when adjusted for inflation. And while private-payer data is not as readily available, general correlations in reimbursement exist16 so one can assume a similar pattern across the spectrum of payer sources. For private-practice physicians, these truths are seen clearly on their accounting ledgers and ultimately in their personal bank accounts. On the other hand, employed physicians are in an advantageous position when it comes to inflation. Supply-and-demand economics combine with inflation to yield employee compensation rates in free markets. Thus, employed physicians are able to demand compensation that incorporates these market forces, ultimately leading to steadily increasing wages despite decreased productivity and declining (relative to inflation) payer reimbursement. As private-practice physicians will attest, rising personnel costs with declining reimbursement rates lead to concerns of insolvency. For decades, hospital systems have been able to use economies of scale to absorb the mismatch in the physician compensation and physician productivity curves despite declining reimbursement; but with most hospital systems’ operating margins currently at about 3 percent and falling,17 these employers eventually will run out of ways to reallocate funds to cover physician compensation subsidies. Introducing new and innovative payment models that are susceptible to free-market forces. Introducing an inflation adjustment to current payer reimbursement models. Requiring physicians to accept lower overall compensation. But what if the worst-case scenario happens? What if the United States experiences inflation at the levels of the early 1980s? If physicians demand compensation adjustments that match the extreme inflation rates of 15 to 20 percent, it will be impossible for our health care system — hospital systems and private practices alike — to absorb that level of inflation, given the current reimbursement structure and low operating margins. This would bankrupt hospital systems across the United States and force physicians to either see their compensation as an employee be outpaced by inflation (devaluing their net compensation) or force them back to private practice in an even more insolvent business environment than when they left private practice. Physicians in the United States need to be aware of the market forces affecting their compensation and how those same market forces impact their employers. For decades, many physicians had the luxury of transitioning from private practice to employment as a way of escaping excessive administrative costs, rising costs to become and remain a licensed physician, bureaucratic rules decreasing productivity, and declining reimbursement rates relative to inflation. But that option might be coming to an end. Physicians must take action to separate themselves from their competition and protect their financial futures — and the time is now. While many organizations exist to serve the needs of physicians, they largely have failed to protect the financial futures of their members. Advocacy efforts by professional and subspecialty groups for decades have failed to reduce administrative burdens that decrease productivity or to ensure reimbursement structures that protect physician compensation against the catastrophic risks of inflation and permit the benefits of supply and demand. This is evidenced by the trends outlined here. Now that most physicians are temporarily financial beneficiaries of the laws of supply and demand as employees of health care systems, they must join forces with organizations that now have a vested interest in protecting the fees generated by physician services to provide great strength in numbers and financial resources in advocating for real and sustainable improvement in these areas. The financial future of both physicians and hospital systems depend upon it. Additionally, should hospital systems be forced financially to reverse trends and no longer directly employ as many physicians, demonstrating a diverse education with more diverse skills than pure clinical expertise will provide separation from the competition. 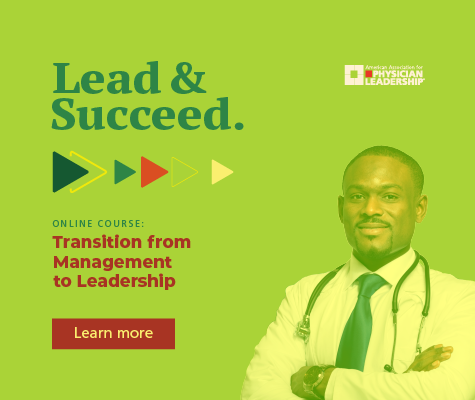 In a broader sense, physicians in leadership positions can serve as advocates for physician interests within health care organizations by bridging knowledge gaps for nonclinical and/or nonphysician decision-makers. The more others understand the challenges physicians face and how addressing those challenges can improve our health care system, the more likely they will be to modify policies, procedures and protocols to be more favorable for physicians. Physician compensation has evolved over time at the hands of many market forces. These forces have, for decades, driven physicians from private practice to employment, and the rising costs of becoming a physician lead new doctors to value the perceived security of employment.2,4 Of all the market forces, changes in inflation rates pose perhaps the most significant threat to the long-term sustainability of physician compensation rates. And while physicians currently benefit from supply and demand, employers can increase physician compensation subsidies only so much before they become insolvent in current reimbursement models. This is the essence of the growing physician compensation bubble, and physicians must protect themselves against this bubble by diversifying their education and joining forces with both physician and nonphysician health care organizations to advocate for innovative health care payment models. Seger S. Morris, DO, MBA, FACOI, FACP, CPHQ, is an internal medicine hospitalist at Magnolia Regional Health Center in Corinth, Mississippi, where he holds leadership positions in areas of health care quality, revenue cycle management, clinical documentation and graduate medical education. Heather Lusby, DO, is in her third year as an internal medicine resident at Magnolia Regional Health Center in Corinth, Mississippi, where she is a resident representative and involved in research in antimicrobial stewardship. Thompson D. This is the way the college ‘bubble’ ends: Not with a pop, but a hiss. The Atlantic; 2017. https://www.theatlantic.com/business/archive/2017/07/college-bubble-ends/534915/. Accessed Sept. 25, 2018. Forecast Summary, National Health Expenditure Projections. https://www.cms.gov/Research-Statistics-Data-and-Systems/Statistics-Trends-and-Reports/NationalHealthExpendData/Downloads/Proj2015.pdf. Accessed June 10, 2018. Chen WY, Liang YW, Lin YH. Is the United States in the middle of a health care bubble? Eur J Health Econ. 2016 Jan;17(1):99-111. doi: 10.1007/s10198-015-0668-y. Epub 2015 Jan 30. PubMed PMID: 25634500. Owaid O. The death of private practice: how the rising cost of health care is destroying physician autonomy. Brooklyn Journal of Corporate, Financial & Commercial Law; 2017. https://brooklynworks.brooklaw.edu/bjcfcl/vol11/iss2/9/Accessed April 15, 2018. Kane L. Medscape Physician Compensation Report 2018.; 2018. https://www.medscape.com/slideshow/2018-compensation-overview-6009667#20. Accessed April 15, 2018. 2016 Survey of America’s physicians: practice patterns and perspectives. The Physicians Foundation; 2016. https://physiciansfoundation.org/wp-content/uploads/2018/01/Biennial_Physician_Survey_2016.pdf. Accessed June 10, 2018. Kane CK. Updated data on physician practice arrangements: inching toward hospital ownership. ; 2015. https://www.ama-assn.org/sites/ama-assn.org/files/corp/media-browser/premium/health-policy/prp-practice-arrangement-2015.pdf. Accessed April 15, 2018. Arndt BG. Tethered to the EHR: primary care physician workload assessment using EHR event log data and time-motion observations; 2017. http://www.annfammed.org/content/15/5/419.full. Accessed April 15, 2018. Scott KW, Orav EJ, et al. Changes in hospital–physician affiliations in U.S. hospitals and their effect on quality of care. Ann Intern Med 2017;166(1):1–8. doi: 10.7326/M16-0125. AMGA 2018 Medical Group Compensation and Productivity Survey. AMGA Consulting; 2018. http://www.amga.org/wcm/AboutAMGA/News/2018/20180726.aspx. Accessed Sept. 25, 2018. Nicholson S. Will the United States have a shortage of physicians in 10 years? Changes in Health Care Financing & Organization; 2009. https://ecommons.cornell.edu/bitstream/handle/1813/15101/Nicholson09%20pub05.pdf?sequence=2&isAllowed=yAccessed April 15, 2018. Nelson J. Thinking through the state of hospital medicine report. The Hospitalist; 2016. https://www.the-hospitalist.org/hospitalist/article/121506/thinking-through-state-hospital-medicine-report. Accessed June 10, 2018. 2017 Physician Compensation and Productivity Report. Sullivan Cotter; 2016. https://www.sullivancotter.com/wp-content/uploads/2017/12/Infographic-2017-Physician-Compensation-Insights.pdf. Accessed June 10, 2018. Countryman C. The Stark Law and internal physician compensation. Chicago Medical Society; 2017. http://www.cmsdocs.org/news/the-stark-law-and-internal-physician-compensation. Accessed Sept. 25, 2018. Oppenheim CB. Hospital hit with $237 million Stark Law judgment. http://www.health-law.com/blogs-National-Leaders-in-Health-Law,Hospital-Toumey-Stark-Law. Accessed Sept. 25, 2018. Hariri S. Medicare physician reimbursement: past, present, and future. J Bone Joint Surg; 2008. https://pdfs.semanticscholar.org/76ca/d21b6928cec4290085c78998b775a2d324b4.pdf. Accessed April 15, 2018. Wexler B. Preliminary 2016 medians skew lower as revenue and expense pressure hinder profitability. Moody’s Investors Service; 2017. https://strategichealthcare.net/wp-content/uploads/2017/05/051617-Moodys-Report-on-Not-for-Profit-Hospitals.pdf, 2018. Higgins T. Sharing care in the ACO Era. Am J Accountable Care; 2014. https://www.ajmc.com/journals/ajac/2014/2014-1-vol2-n3/sharing-care-in-the-aco-era. Accessed Sept. 25, 2018. 2016 Physician Leadership Compensation Survey. Cejka Executive Search and the American Association for Physician Leadership; 2016. https://www.cejkaexecutivesearch.com/2016-physician-leadership-compensation-survey. Accessed June 10, 2018.